TAIPEI, Taiwan — Terry Gou, the head of the world's largest electronics supplier, Foxconn, said Wednesday he plans to run for president of Taiwan, bringing his pro-business and pro-China policies to what is expected to be a crowded field for next year's election. Gou announced that he would be putting himself up as a hopeful in the opposition Nationalist Party primary ahead of next year's election, shaking up the political landscape at a time of heightened tension between the self-ruled island and Beijing.. The Nationalists favor closer ties with Beijing, a policy that accords with Gou's massive business interests in China, where Foxconn produces products for Apple, Google and Amazon. Foxconn has also said it will build a major manufacturing facility in the U.S. state of Wisconsin. Gou is Taiwan's richest person, with a net worth of $7.6 billion according to Forbes. 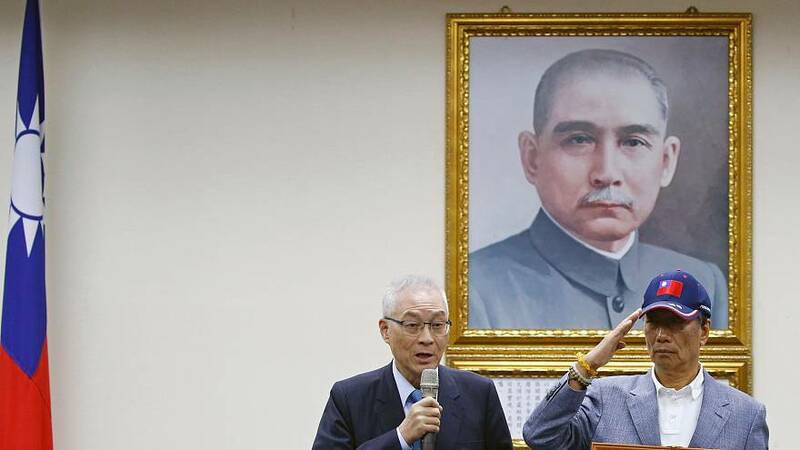 His 2020 bid comes at a delicate time for cross-strait relations and delivers a blow to the ruling pro-independence Democratic Progressive Party, which is struggling in opinion polls. China-Taiwan relations have deteriorated since the island's president, Tsai Ing-wen, swept to power in 2016. China despises Tsai for refusing to endorse its claim to Taiwan as a part of Chinese territory, to be annexed by force if deemed necessary, and has cut all ties with her government while seeking to isolate it diplomatically. Recent months have seen China step up military drills around Taiwan in what is seen as an effort to intimidate the island's 23 million people into backing pro-China parties. Foxconn operates factories in China employing hundreds of thousands of workers. While those facilities provide living and dining facilities, the company has come under criticism for long working hours and sometimes harsh conditions. Gou this week said he was planning to step away from day-to-day operations at Foxconn, but would continue to guide the company's "major direction" while working on a book about his management philosophy and bringing along a new generation of leaders.